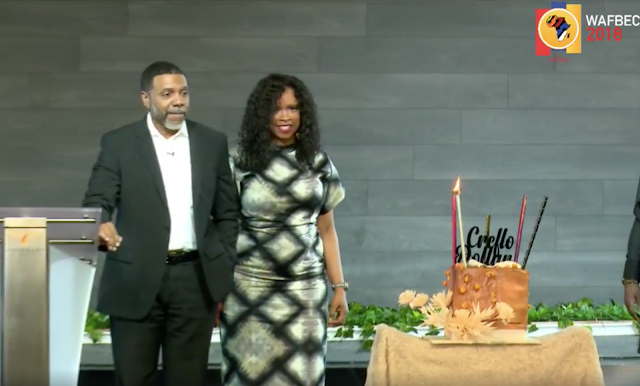 Today, 28 January 2018, is Dr Creflo Dollar's 56th birthday. Dr Dollar is the founder of World Changers Church International based in Atlanta Georgia. He is currently in Lagos Nigeria at the West Africa Faith Believers Convention (WAFBEC) with his wife Taffi Dollar. Now Pastor Poju, Senior Pastor of Covenant Christian Centre, celebrated him at one of the Church services today. 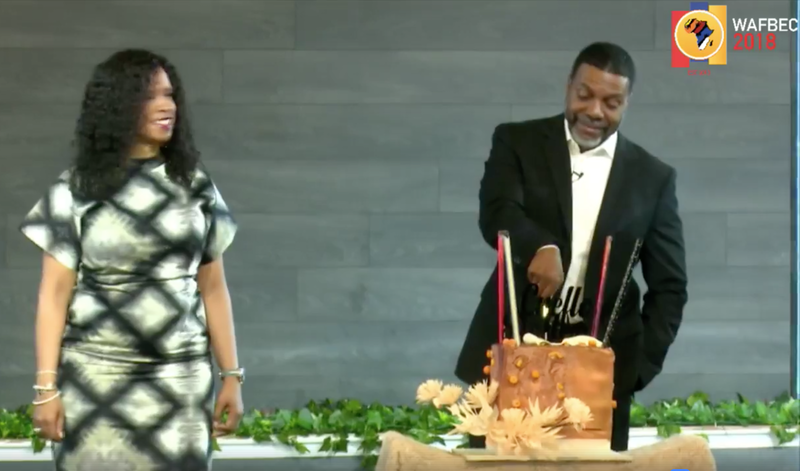 Apart from presnting him with a birthday cake, he surprised him by showing a video of people back home in Atlanta sending their birthday wishes. Watch this clip from the service below. Happy Birthday Dr Creflo Dollar.